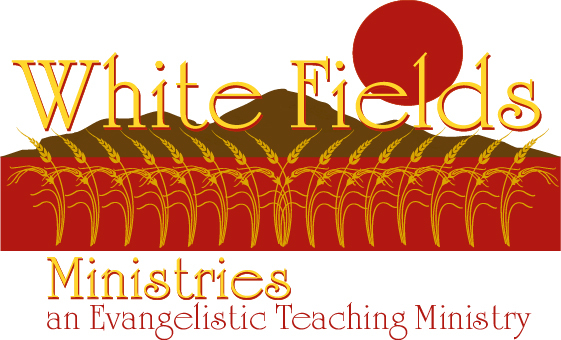 White Fields Ministries is a ministry, founded by Greg and Debbie Nichols. Greg and Debbie believe they are called by God to teach and minister the gospel of Jesus Christ, in power, and in simplicity, according to the mandate of Jesus Christ in Matthew 28:18-20! Greg & Debbie are affiliated with AIGA out of Missouri. The White Fields Ezine teachings are below! Read about Cutting Edge Flood Research! Read about The Passion of The Christ Movie Blockbuster! How You May Help Us! Free Bible Teaching ezine Mailing List! At your request, free, we put you on a special email mailing list from Greg Nichols, who sends cutting edge and fascinating inspirational material routinely. If you have an interest in the Bible, learn from this dynamic biblical based resource routinely. If you teach others or want in depth and cutting edge information, and you are hungry for healthy teaching designed to touch hearts and open up even the hardest of skeptics, get in this database! Once you receive the ezine, forward it to people who you know can really use it! If you are not on our mailing list, go to http://www.wfministries.net/newsletters.html and join. This website can open up the scriptures to people, in the privacy of their own home or workplace, at any time of the day or night. This teaching ministry can get into any home or location in the world, where a believer or the Word of God is not welcome. The Internet was invented for such a project as this. After you bookmark this site yourself as a reference for ministry and learning, then simply send the web location here, to people you know and care about, by copy and pasting this web address into an email to them. Our web address for copy and pasting is http://www.themfngroup.com/whitefields.htm . Private "word of mouth" sharing is the way we will win the lost, our families, and friends. If everyone does this, the exponential numbers of people viewing this site will be too large to calculate. A Biblical Analysis of The Lord of the Rings! You may give an online donation, we are set up at PayPal for it. We offer a free online service and ezine, and it has gone into many countries and areas since we started it. Donations have helped us. No amount is too small. $5.00 or $10.00 can help us reach at least 4 more people online. For a dynamic teaching on Biblical Wealth, go to http://www.wfministries.net and click the "Teachings" link. ChristEngine.Com - Christian Search Engine and Directory. Christian Retail, Bible Resources. Add your URL. Christian and Secular Resources!